Online ordering menu for Buon Padre Pizza. 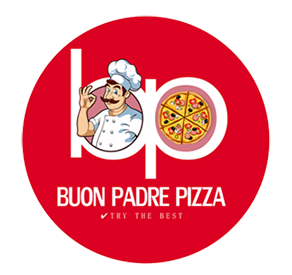 Buon Padre Pizza is built from the love of a father providing for his family and the corresponding new tastes and ingredients discovered along the way. Our unique Grilled Hotdog pizza is an invention that came out of such a family venture. Children everywhere will love the kid-friendly recipe bursting with grilled hotdogs and adults will enjoy the big flavor of combining a pizza with the taste of grilled hotdogs. Order online for carryout today! We are located at Pecos Rd and McQueen Rd, just a few minutes from Folley Memorial Park and Frye Elementary School.